The primary difference between animal and plant proteins is their amino acid profiles and it is those profiles that direct the rates at which the absorbed amino acids are put to use within the body. Animal based proteins, of course, are much more similar to our proteins, thus are used more readily and rapidly than plant proteins. That is, ‘substrate’ amino acids derived from animal-based proteins are more readily available for our own protein synthesizing reactions which allows them to operate at full tilt. Plant proteins are somewhat compromised by their limitation of one or more amino acids. When we restore the relatively deficient amino acid in a plant protein, we get a response rate equivalent to animal proteins. So, which are the vegetable proteins that can substitute the animal ones? Apart from the RuBisCo protein that we extract and develop in the GreenProtein projects, here are some other possibilities. Plant proteins from soy products, such as soybeans, soy drinks or tofu. This group of products have quickly increased their demand due to their high protein composition. 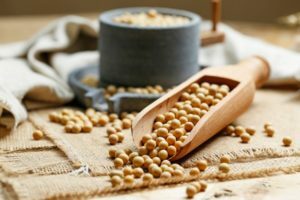 Soy protein is rich in amino acids, especially lysine. It also contains essential fatty acids, lecithin, fibre, magnesium and isoflavones. However, they have a limiting amino acid of these products is methionine, a sulphur-containing amino acid. the intensity of its exploitation is leading to ecosystem disturbances in some places because of extensive soy monocultures. 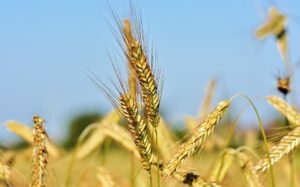 Plant proteins from cereal products, such as barley, wheat, oats and rye, have good levels of amino acids but they are not suitable for celiacs. They also have a limiting amino acid, which is lysine. Plant proteins from seaweed products, such as algae and spirulina. Algae has interesting proteins levels, but they can’t be considered substitutes for other proteins, because they cannot be ingested in large quantities. 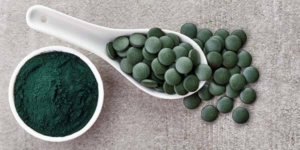 Spirulina, on the other hand, contains all the essential amino acids and their proteins can be considered of better quality than any plant. Further information regarding the GreenProtein project can be seen in our website and social media: Twitter and LinkedIn, don’t miss it!